Start a new Mother's Day tradition and join us for a fun and festive beginning to your day while raising awareness and money for an important cause. Walkers and Runners welcome for a 10:00 start. 5k loop course starts and finishes at the Elks lodge in Chelmsford (300 Littleton Road). Kids Fun Run at 9:30. Like awards? There will be lots of them. Male and Female, 5 year age groupings (0-12, 13-16, 17-19, 20-24, 25-29, 30-34 and so on up to 80 ). Commemorative coffee/hot chocolate mugs. Cut off date for commemorative shirts was April 24. We are ordering a few extras which we will give out on a first come first served basis. Running "for someone"? We will provide a clear viny pouch so that you can proudly show off your 4 by 6 inch picture. No picture? There will be cards for writing a message! To celebrate your success, all finishers receive a choice of a flute of sparkling grape juice or sparkling wine and snacks. Party music from DJ Patch. Standard entry is $30.00 for pre-registration (plus processing fees) and on race day, $35. Overall first place male and female receive gift cards from Fleet Feet. Addiction Awareness: Substance use and abuse has touched the lives of so many families in New England. In Massachusetts alone, 2 die each day from opioid overdose. "Healthy Chelmsford" under the auspices of the Chelmsford Board of Health will be on site to provide educational information. Fund raised from the event will be used by Healthy Chelmsford to promote awareness and provide education, especially for our young folks. More information is available on our website: www.nancysrun.com. Like us on Facebook for event updates "Nancys5K". 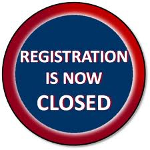 Online registration is closed, but you can still register for the race! On Sunday, beginning at 8:30am at the Chelmsford Elks. Cash or check only please.